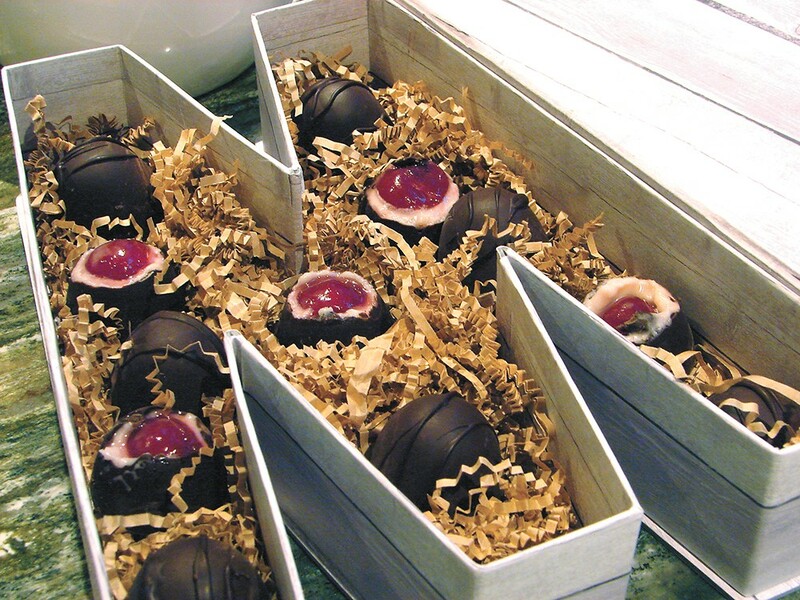 Mudge Chocolates uses local, sustainable ingredients in its sweets. Candy is everywhere you look this time of year, as ubiquitous as pumpkins, foretelling the cultural phenomena known as trick-or-treating, when kids come home with sacks full of sugary booty. While the inhumanly high amounts of sugar children are able to consume during this time is plenty of cause for alarm, what concerned Mudge Chocolates creator Winona Smith were the unnatural ingredients in many commercial candies, particularly food dyes. "The start of Mudge was finding out about artificial coloring — it's made from petroleum — and knowing I couldn't feed it to my children," says Smith, who developed the idea for her own candy company during one of those other candy holidays: Valentine's Day. With a varied background that includes having been a firefighter, ballroom dance instructor and college student in a teacher education program, Smith relied on research skills, experimentation and a keen sense of providing as healthy an option as possible for her three daughters, ages 5 to 8, when developing her business. She made 20 varieties of candies and approached Susan Sommer, who owns Mrs. Honeypeeps Sweet Shop in Coeur d'Alene with husband Brett. They let Smith showcase Mudge chocolates during a sample night. Encouraged by that success, Smith now sells Mudge cordials at the Flour Mill in Hayden ($2.25) and an eight-pack of treats — mint, triple chocolate, Hiker's Delight with organic coffee beans, peanuts and golden raisins — at Winter Ridge Natural Foods in Sandpoint ($13.50). One of their most popular flavors is orange cream, which like all flavors features natural ingredients, what Smith calls "real extravagance." Colorants, for example, range from beet juice or turmeric to distilled fruits. For her ingredients, Smith looks for companies whose practices emphasize organic, fair trade, local and/or natural products. Mudge's cordials, for example, feature Washington-based Tillen Farms' bottled cherries, which are free of preservatives, gluten and artificial dyes and are even kosher. Mudge's chocolate base comes from Endangered Species Chocolates, known for its donation program to partners such as the Rainforest Trust and Wildlife Conservation Network. Endangered Species Chocolates are also certified vegan, non-GMO, fair trade and gluten-free.